Colombian revolution. 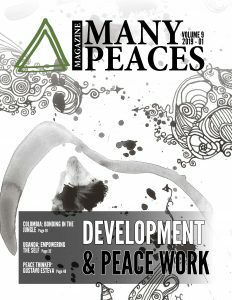 Another contribution discusses a spiritual approach towards development. Personal comments from Egypt and Venezuela, individual stories and perspectives complete scientific research once again. 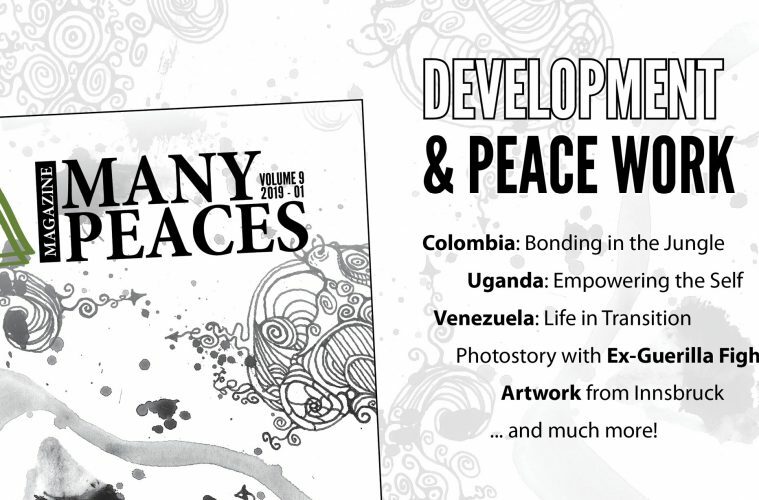 We provide a platform for various approaches and our team of dedicated authors, editors and our graphic artist managed to create precious contributions to the dialogue around global conflicts, peaces and development. 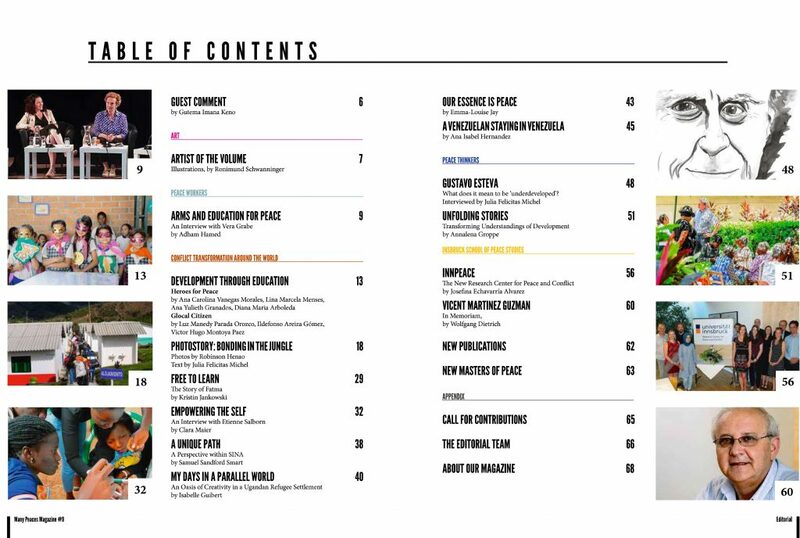 If you are interested in Volume 9 of the Many Peaces Magazine, please check out our subscription models or contact us via magazine@manypeaces.org. We hope you will appreciate the reading!